It's an alarming report that is sure to make waves in the scientific community. The U.S. Fish and Wildlife Service has come to a worrying conclusion: a type of bumblebee that is native to North America faces possible extinction if something isn’t done. 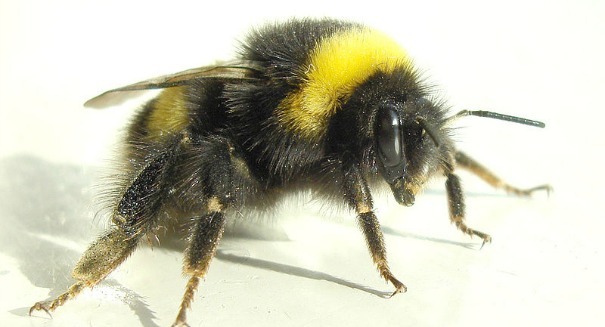 The service has recommended that the Bombus affinis, or rusty patched bumblebee, be added to the endangered species list in the United States, the first bee species to achieve that status — and a worrying sign of a coming environmental future. The FDA said in a statement that these bumblebees are extremely important to a healthy ecosystem and to our own food security. Bees spread pollen between plants, allowing them to reproduce. It is estimated that native insect species combined contribute $3 billion to the economy every year. The Xerces Society for Invertebrate Conservation was the organization that originally filed a request in 2013 for the rusty patched bumblebee to placed on the endangered list, and now the FDA has obliged them. Scientists estimate that the species has declined in population by an astonishing 87 percent in recent years. Diverse Life on Planet Earth: Should be declared “Endangered”: for A: habitat destruction B: Over commercialization. C: Disease. C: Predation (by humans and human pets). D: lack of regulation. D: lack of enforcement of regulation. E man-made factors. F: all of the above. F: Mankind’s grade for stewarding the estate. If something isn’t done, ONE company will control the worlds entire food supply. Monsanto would absolutely LOVE for the bees to go extinct. That would give the world no choice but to buy their genetically modified, lab grown food for the last years humanity claws for breath. If pollinators go extinct, the human race will start a 4 year countdown to it’s own extinction event. Do your research, read your books on pollinators, and how important they are to this world. Without them, we’re all endangered.